Looking for the materials from the Ed-fi Symposium? Click HERE. Calling all CIOs, CTOs, Technology Directors, Data managers, EdTech Directors, School/District Leadership, and EdTech Companies. 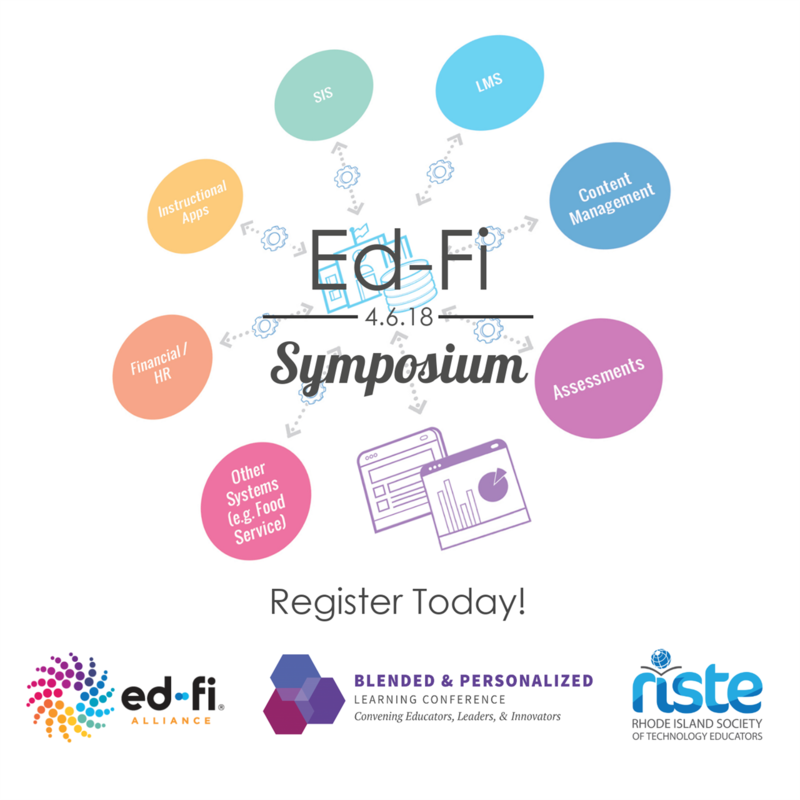 The Ed-Fi Alliance, Blended & Personalized Learning Conference, and RISTE would like to invite you to a day of learning and planning about how to more easily manage your data and the transfer of that data. Empowering educators with a complete view of every student, classroom, and school.